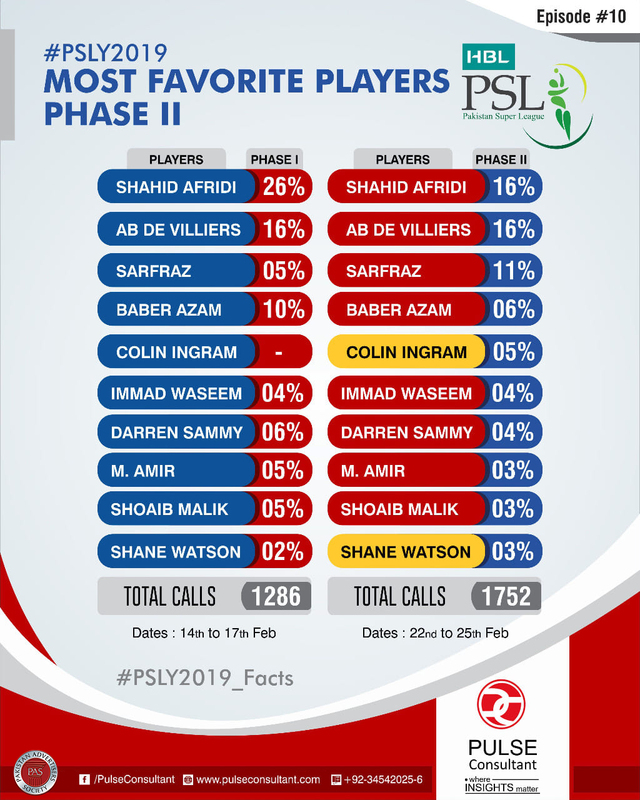 In phase 2, popularity of Shahid Afridi dropped slightly. While AB De Villiers managed to maintain his admiration graph. Two surprise entries, in the top 10 players, are Colin Ingram and Shane Watson. Disclaimer: Study has been carried out by Pulse Consultants, a third-party research agency. PAS does not take ownership of survey findings.